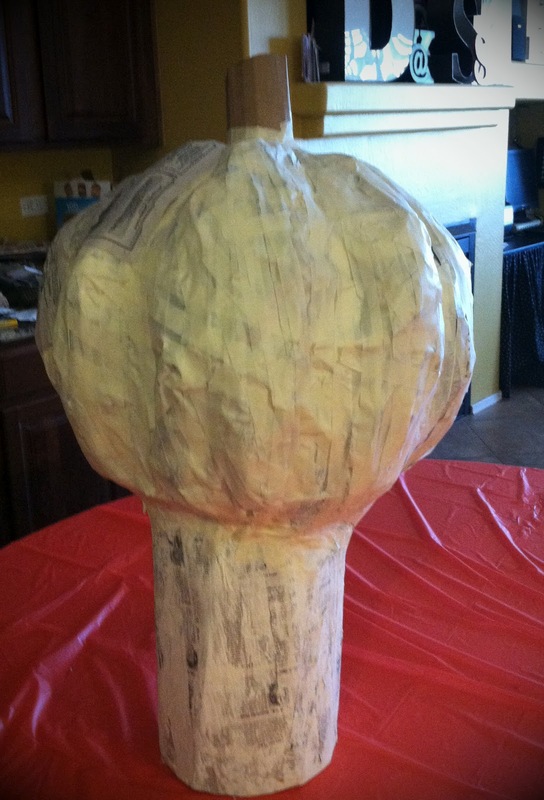 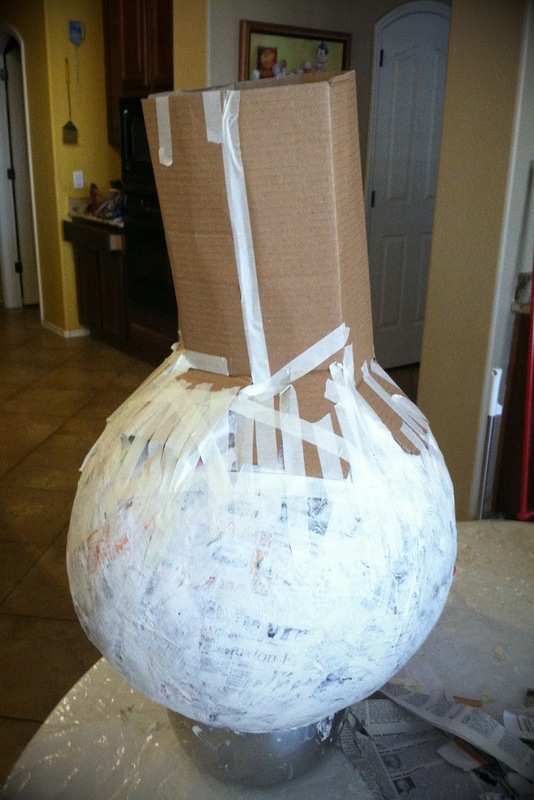 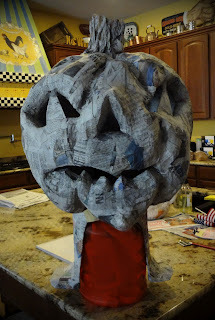 Then I taped some cardboard onto the ball for a neck and taped crunched up newspaper all around the ball to form a pumpkin shape, then paper mached on top of that. 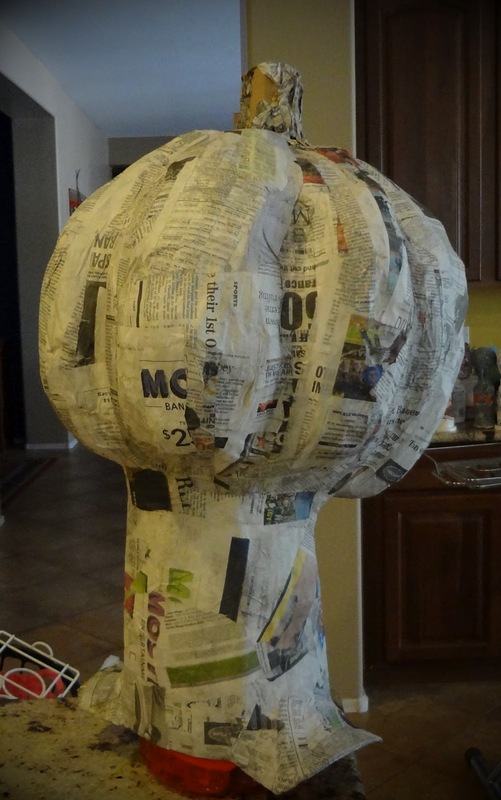 I takes at least a day in between each layer of paper mache to harden and that's in our AZ heat! 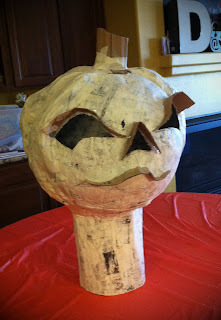 I then drew a face on the pumpkin head and taped cardboard to add the 3-D features. Hi, I just found you! 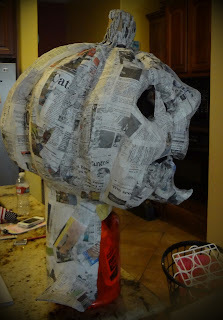 I'm another AZ grandma blogger. I want to invite you to join me at my link up for Grandparent's Say It Saturday, open until Monday nights. We would love to have you! If it's Autumn ... it must mean some uber creativity over @ Glamma Fabulous. Can't wait to see what's in store!